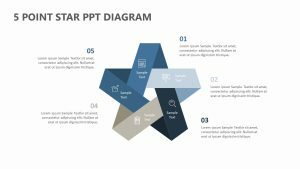 With the 5 Stage Chevron Arrows PPT, you can detail the relationship between five of the most crucial parts of your project with ease. 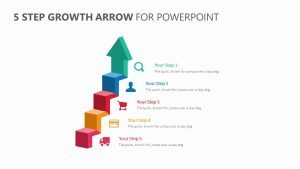 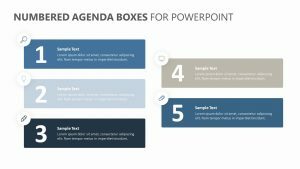 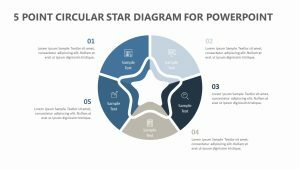 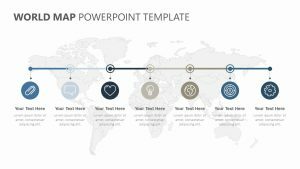 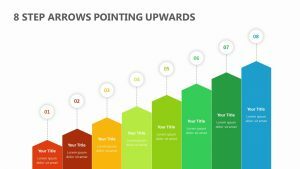 The 5 Stage Chevron Arrows PPT is a fully editable PowerPoint slide that is able to be edited, right down to the text, colors and icons on the slides. 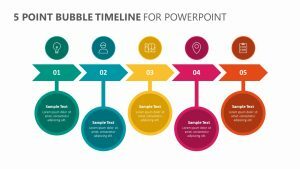 It features six chevron arrows pointing to one another to show continuity as well as a spot at the end to label the end result. 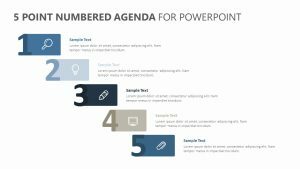 Each slide provides a number, an icon and a color that pertains to it.